. :: POST RACE ARRHYTHMIAS ::. 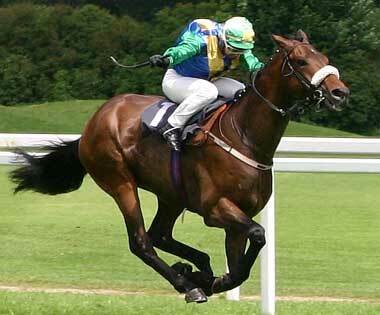 OCCURRENCE OF CARDIAC ARRHYTHMIAS IN STANDARDBRED RACEHORSES. This prospective observational study assessed the occurrence of cardiac arrhythmias in Standardbred racehorses both prior to racing and in the late post race period (6-29 minutes post race). A non-continuous recording device was used in this study where 8657 ECG recordings were collected from 1816 horses over a 12 week period. 87.8% of horses had normal sinus rhythm prior to racing, 6.9% had second degree AV block, with the remainder having other arrhythmias. In the post race period no horses had normal sinus rhythm, 99.4% had sinus tachycardia; 0.28% had ventricular premature depolarisation, 0.14% had atrial fibrillation, 0.14% had supraventricular premature depolarisation (s), with the remainder having other arrhythmias. There was no association between pre-race furosemide administration and post race cardiac arrhythmia, the only risk factor identified was age. The bottom line: The non-continuous recording method is a practical tool to detect physiological and pathological cardiac arrhythmias; the frequency of arrhythmias detected at this time period post racing can be used to inform racecourse veterinary surgeons.